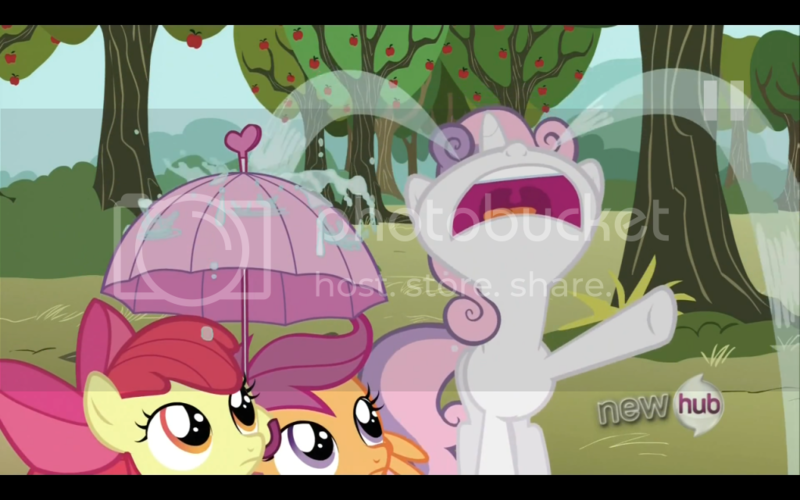 When Apple Bloom’s cousin, Babs Seed comes to visit, Apple Bloom is at first excited to have a new friend. But Babs soon turns out to be a bully when she joins Diamond Tiara and Silver Spoon in harassing the Cutie Mark Crusaders. Apple Bloom and friends decide to booby trap their parade float, but after finding out that Babs was bullied back home they rush to save her from their trap. They end up taking the fall for her, and become good friends afterwards. 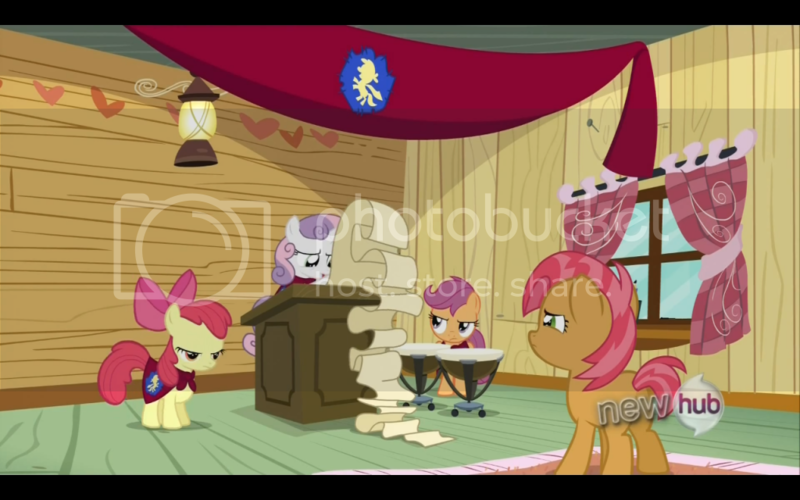 Every fan of this show remembers when the CMC were first introduced. They were met with trepidation and cries that the show was ruined forever. After all, they were the stereotypical “annoying kid characters” that seemed to ruin shows wherever they appeared. It took exactly one full episode with the three kids to make practically everyone that had decried their addition to the show realize that the same talent and creativity that went into the rest of the show was at play with these characters as well. Surprisingly the kids weren’t annoying in the slightest, and somehow, despite a glut of episodes featuring them, they never overstayed their welcome. 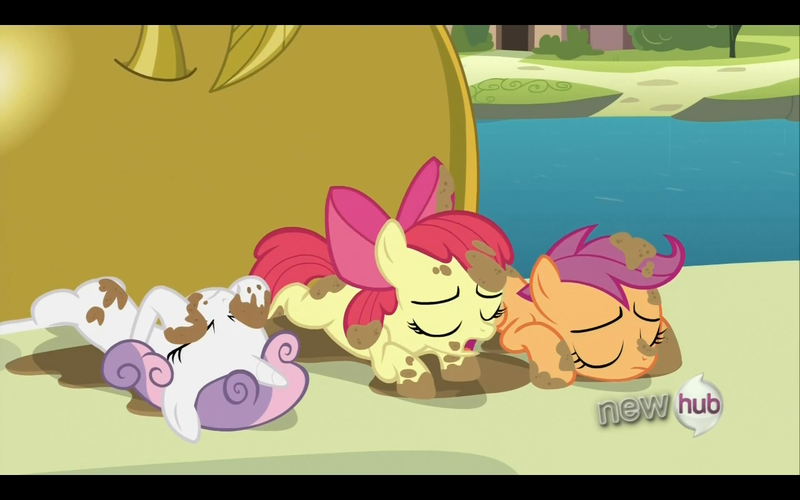 Some would even say that the CMC episodes are…good. 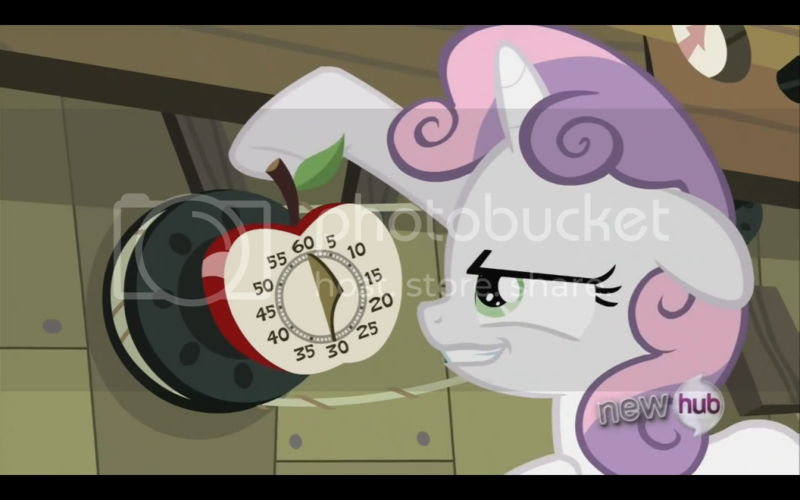 Applejack: Renewing her oath never to have kids. 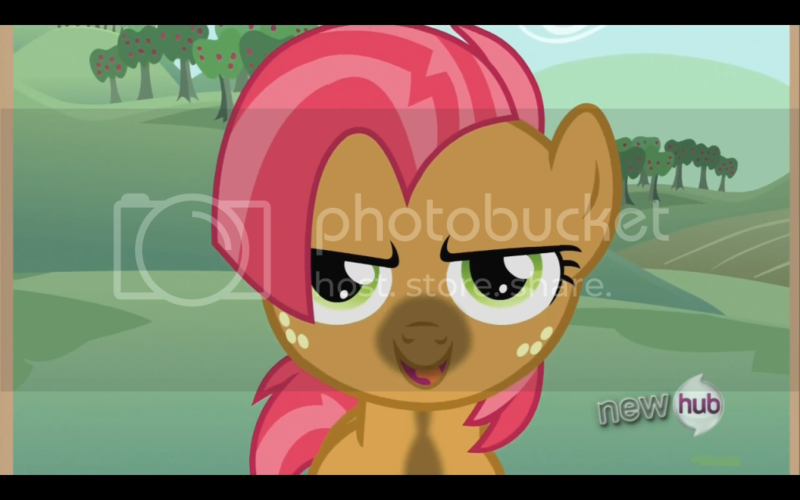 That is where we come in this season, with the first of a few planned episodes featuring the CMC. 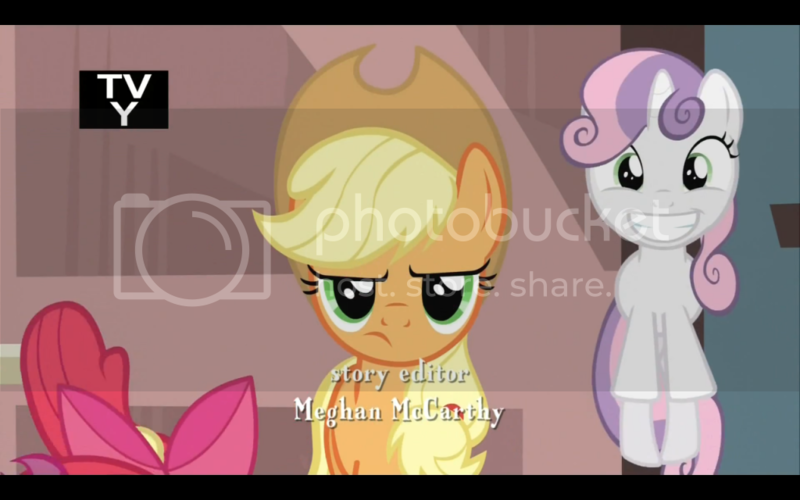 I have to confess that whenever I know there are going to be several upcoming CMC centric episodes I groan a little inside. This is because the perception that the little kid characters are annoying is so pervasive that I keep having to be reminded that not only are they not annoying, but I quite like their episodes. Such it was with this episode. I wouldn’t say that it was a phenomenal episode. But it was certainly a good episode. 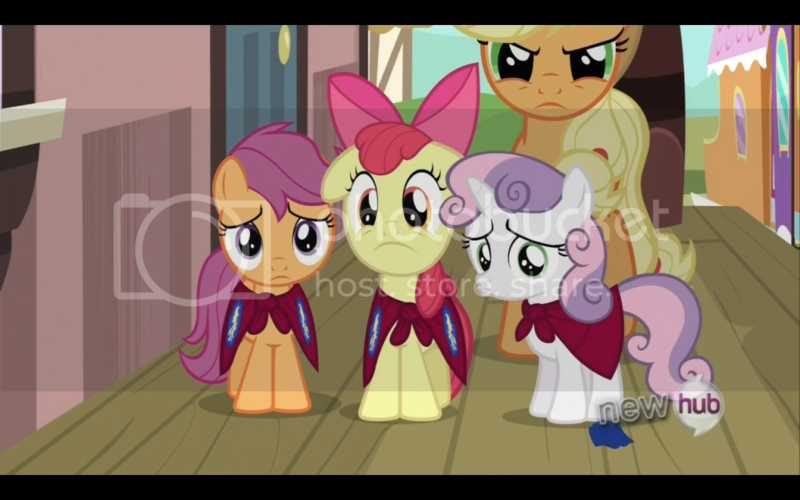 The strength of the CMC episodes is that they are much stronger lesson episodes. 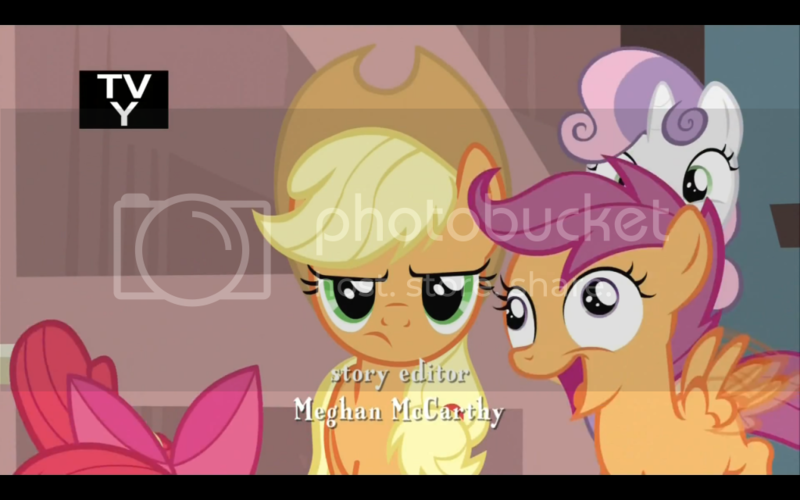 While pretty much all episodes of MLP:FIM are lesson episodes, the lessons portrayed in CMC episodes tend to skew a bit younger. The true strength of these episodes is that they portray those lessons in a manner that feels natural. The less jarring the lesson is, the easier it is to absorb it. And speaking as an adult who can still remember a good chunk of his childhood, I have to say that this lesson, while a good one, runs the danger of ringing hollow in the ears of children. Granted, there is some truth to the idea that a lot of times bullies are bullies for a reason. And that if we can find common ground with them, friendship just might be possible. But the episode also covers the concept that sometimes bullies just can’t be reasoned with, as illustrated by the continued antagonism of Diamond Tiara and Silver Spoon. While Babs Seed is shown to be a bully that had a deep seated psychological reason behind being a bully, Diamond Tiara and Silver Spoon continue to behave the way they have since season one. This might be an oversight on the part of the writing staff, or it might be a deliberate attempt at realism, since there are bullies that bully others simply because they’re jerks. Sometimes some people are bullies, and there’s nothing we can do about it but ignore them.